MIAMI (December 5, 2018) - The Miami FC Open Tryout for the 2019 season is quickly approaching on Saturday, January 12th and Sunday, January 13th. Slated to be held at St. Thomas University in Miami Gardens, the training home of Miami FC, it will be a prime opportunity for a variety of players to make an impression on Miami FC's coaching staff and possibly earn a spot on the 2019 roster. 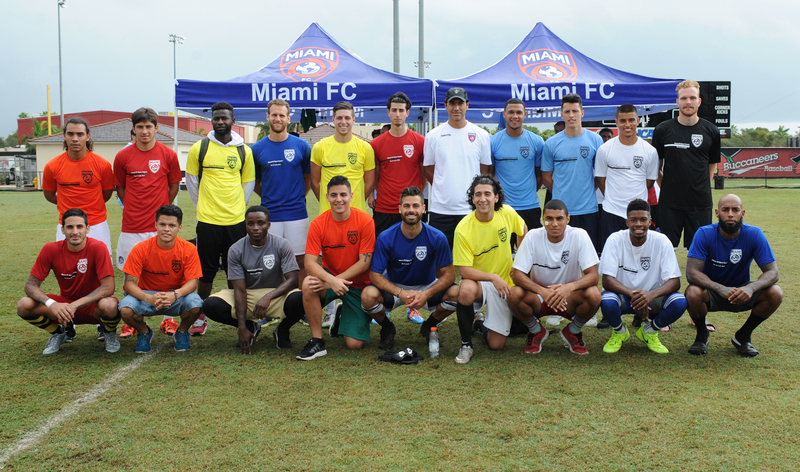 Before Miami FC's inaugural 2016 season, five players were selected to join the team after impressing in the Open Tryout. Of those five, one was with the team during the first two seasons, while many of the others have played important roles for different teams since contributing during Miami's first season in 2016. Those five were hand-picked from over 200 participants. Kcira appeared in 16 matches over two seasons during 2016 and 2017, including two crucial U.S. Open Cup victories against the Tampa Bay Rowdies and Orlando City SC, the latter of which he assisted on the third and final goal. Corrales is a decorated Cuban international, having played in 34 matches for his national team. Corrales most recently played 17 matches with MLS side Chicago Fire during the 2018 season. Leroux was a versatile defender who played in seven matches with Miami FC during the 2016 season.